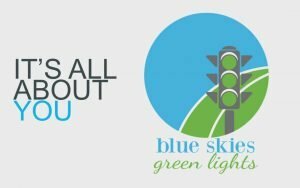 Click below to hear more about Blue Skies Green Lights: It’s All About YOU! You are starting a road trip to a place you’ve never been before. You must first know where you’re starting from. In this module, “Finding Yourself on the Map,” you will get really clear on who you are and where you are as a person and as a leader. 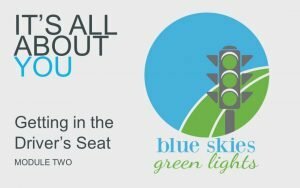 You will connect with what makes you come alive…that part of you that really knows how to be great at what you do…and then make the choice to sit in the driver’s seat. You will gain the tools for building a personally strong foundation of SELF for successfully leading your life, with confidence and with a willingness to embrace what’s possible. Make your road trip not just a get-away vacation but a trip that lasts your lifetime. In this module, you will gain the clarity and insight you need to know your direction, how to move around obstacles and keep your momentum going over and over again to really make things happen and to reach even your biggest goals. Lead on! You’re on your real life road trip! With your “Road Trip Planner” you will create your plan, determine your route and establish your itinerary for your real world Blue Skies Green Lights road trip. Before you take off I want to give you one last thing: your Road Trip Tools. 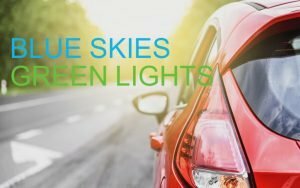 These are your secret weapons for successfully leading yourself, reaching your destinations and ultimately enjoying your amazing road trip with confidence, clarity and enthusiasm. 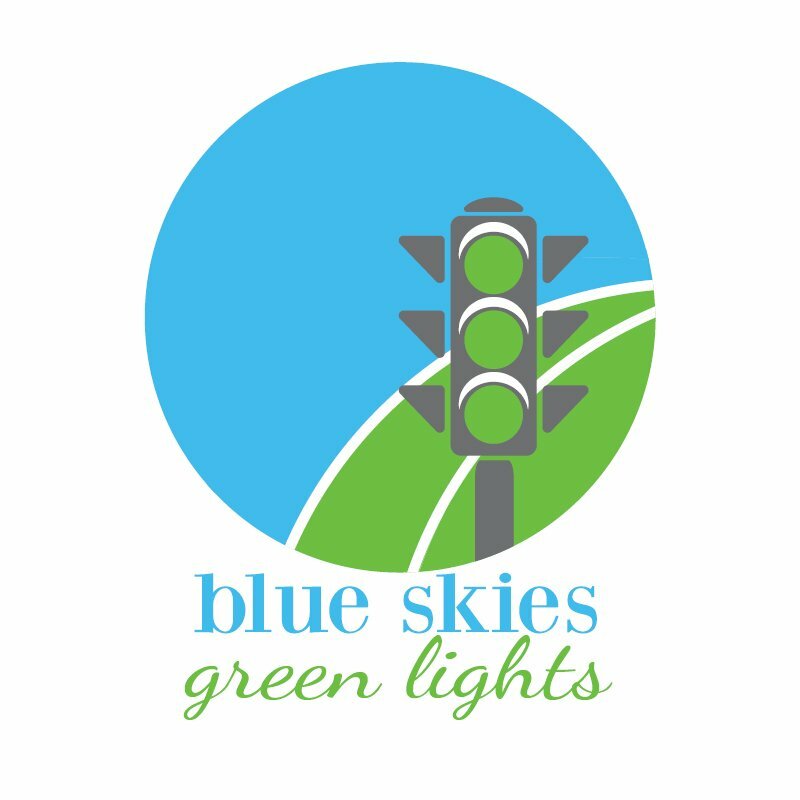 So join me, and start leading and living the Blue Skies Green Lights way. Successfully Leading Your Adventures in Life with Confidence, Direction and Passion.